As your private teacher, I can promise you a very soulful and rewarding experience – having fun is part of my lesson plan. My goal for each student is to build confidence through knowledge and experience. I will encourage each student to reach into their spirit and bring out what is already inside of them through the type of music that brings them happiness. After 3- 6 months of lessons from me pianist will be able to know beginning concepts, play songs of their choice by ear and note read simple songs also. Singers will know beginning vocal exercises, be able to project their voice, and sing high and low notes accurately to songs according to their ability. I am currently the Director of the Music Department at San Diego Young Artists Music Academy. I am also the Choir Director for the Children's and Youth choir based there. I develop curriculum and teach piano, voice, and choir training at this facility. 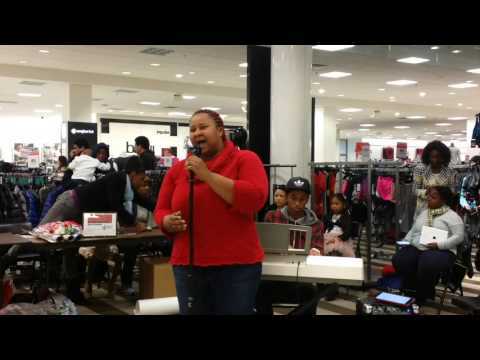 This is my student Alexis singing a Classical Piece for her audition into Oral Roberts University. 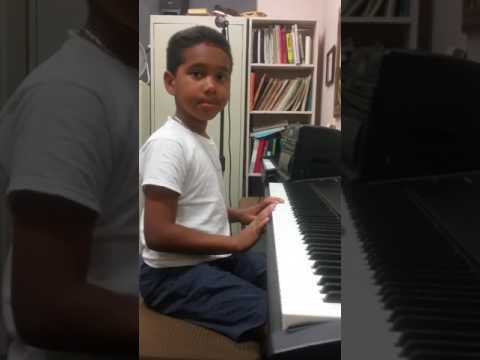 This 4 year old is learning to sing and play at the same time and having fun while doing it!! The MADA Children & Youth Choir I am currently the Director over this Community Children and Youth Choir. .
Judy was great with my daughter. They worked together, and worked hard. The lesson was several days ago, and my daughter is singing and practicing and looking forward to her next lesson. Had a very good class. My voice is improving. One of the hallmarks of a good teacher is his/her ability to make students feel confident that they can learn. Judy did that for me today—in my very first lesson. I’m looking forward to this new journey. Thank you, Judy! Very lucky and blessed to have found Judy. She's a gem for students hungry to learn Black gospel piano. Had 1st lesson today. Assessed my playing and sight reading ability, and we went straight to business on learning chord / music theory, and my strong desire to play church piano. She also showed me how to "gospelize" a few songs, for starting out. Not only did I feel comfortable and @ ease with her, but she teaches music theory in layman terms. Looking forward to more future lessons with Judy! Go to her if you truly want to learn gospel piano! Good instructions to improve my voice. Judy knows her craft. I believe I benefit when I have a class with Judy. She knows how to impart the relevant information to improve my voice. Again, Judy is the best instructor to work with. She knows I have an ear for my great Hammond sk-2. So she doesn't waste my time, learning sheet music. I just play by ear. She's the best. She is the best. We work out scheduling problems since we both hv them . A awesome, understand able teacher. 10 star. Judy is experienced, knowledgeable and patient. I noticed an improvement in my voice after only two lessons. I can’t wait until my next lesson. I found Judy to be very knowledgeable. She made me feel very comfortable and nonjudgemental to a beginner singer of my age. I love that she was able to aid my confident that I can accomplished my goal, as well help me with songs that would fit my vocal ability/style. Excited to see what she able to expire and shape my voice into. Looking for my future results to become a Good vocalist. Ms Flenoid was a true professional. She obviously has worked with kids before as she was methodical, yet very gentle and patient in her approach. The stickers at the end just completed the great experience. We are both looking forward to practicing the lessons learned during the session and doing the assigned home work. We are equally looking forward to the next class. I like taking Judy's classes because she prescribes the best exercises to improve my voice and I am seeing results. Judy immediately gets to the heart of the singing problem and uses exercises and techniques to fix it. My voice is improving with her instructions. Judy is an excellent teacher who understands what I need to do to improve my voice. This is my first class and already I can hear the improvement. Judy was very knowledgeable and fun to be around. She has better lesson plans and techniques than a few other instructor we came across. I’m glad we found her. She is very nice and it is obvious that she knows what she is doing. I just had my fifth lesson but I felt a great improvement in my singing since the first one. I will definitely keep taking lessons with her. I learned tactics easy and fast. She is really good. I was amazed by how fast I was able to comprehend the notes and hand movement. I highly recommend her. Judy is a very patient teacher. Makes starting out learning, her approach is easy to understand. Judy is great, takes her time and really encourages you! She kept me engaged! I enjoyed her welcoming personality and how clear her instructions were. Judy is very sweet and takes her time with you. I look forward to this singing journey! And I plan to take piano lessons too! She’s awesome. Great first lesson. I can tell Judy is very experienced and an excellent teacher. She has a lot of patience. I took 2 of my 3 boys for their first piano lesson, and it was amazing ! She is firm, but very patient and sweet. I can't wait till their next lesson. Really helping me get better. I have noticed improvements myself. Super nice and sweet. Judy is professional, very nice and has great intuition on the needs of her students. Loved his first lesson! Judy is very through! I couldn't be happier with Judy as a piano teacher. We cover a vast amount of material during our lessons. She is fun, intuitive and very supportive of my efforts. I have taken piano lessons in the past, but I didn't really "learn" how to play. Judy provides a spectrum of materials which help me to not only play songs, but hone my skills and explains the "why" and "how" of the way music works in an understandable way. She also has a very flexible schedule, which helps greatly. I would highly recommend her. My son who is going to be 17 loves his lessons with Judy always comes home singing and excited. She encouraged him and puts a lot of faith in his abilitys. Judy is the best of the best! Every week I look forward to learning from her. I've worked with a couple other coaches previously and they do not even compare. Her heart is in the music and in the teaching. Would highly recommend to anyone no matter how much or how little training they have had. Judy is patient while challenging and motivating her students. My daughter's first lesson was great! Ms. Judy was very patient and knowledgeable!! Ms. Judy was very professional and we got right into the thick of things. She gave helpful advice and suggestions. I had a wonderful first session with Ms. Judy. She was truly ready to help me meet my goals. She was engaging, encouraging and patient, yet challenged me to stretch myself. I'm truly looking forward to this journey..
We've had a great experience with Ms. Judy overall. My daughter has learned new technics to enhance her vocal range and is excited about going to her lesson every week. Judy makes learning fun and challenging. Judy is very patient and always gives encouraging words to keep on trying. Judy was able to teach my daughter to play 3 songs in one lesson! My daughter had never touched a key board! She is also very patient and kind. I would highly recommend Judy as a piano instructor! I have had a couple instructors from TakeLessons and Judy is by far my favorite! She is encouraging, organized, and works with my learning pace. I am so happy I found her. Judy is amazing!!! 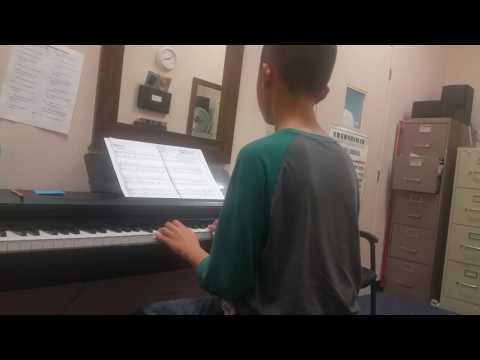 From never playing piano Ive had 4 classes so far and im learning so much. I look forward to every class and learning to play piano. She was awesome!! Had my first lesson today. Very informative and thorough. Also a great and lovely personality. Our experience with Judy was very, very disappointing. Student had 23 lessons and she REALLY WANTED TO LEARN AND WAS NEVER LAZY ABOUT IT. however there was no real lesson planning at all. in the entire time she was a student of Judy she was never even given any kind of lesson book on piano. We have since gotten another teacher who has excellent teaching skills.. And my grand child is very happy and LEARNING A LOT!! Judy was fantastic! She was able to quickly assess what I needed to help with on a song I was to sing at a wedding and we worked on it within the half hour. I sang the song at the wedding and it went well! I'm looking forward to taking more lessons with her! My daughter (5yr old) has enjoyed three sessions with Judy so far. She is enjoying her lessons and couldn't wait to practice at home. Judy is so good with her and so patient. I definitely recommend! Excellent piano teacher. Ms Judys' methods combined with positive reinforcement has produced immediate results. I had no idea a six year old could learn so much so fast. I feel as though I'm getting my monies worth. In just a few lessons, my daughter has already recognized that Judy is a "caring" and "nice" instructor who is patient and encouraging too. My daughter enjoys going to her lessons. Very down to earth and easy going. Recommend! My daughter Natalie, loves going to her singing lessons with Judy! Judy works great with Natalie's vocals and is a great instructor. She's patient and her attitude allows for the student to feel confident and calm. I would definitely recommend her! Judy greeted me with a smile and she made me feel very comfortable. I do believe she can teach me what I am striving to achieve through piano. 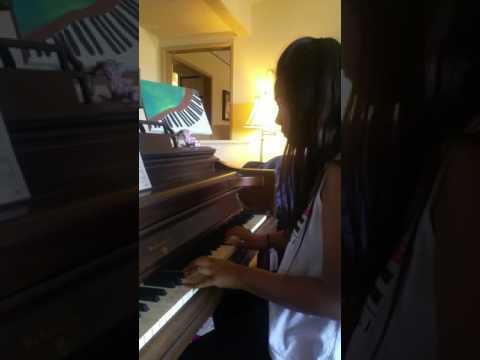 My daughter started piano as a beginner about a year ago with Judy. She LOVES going to her lessons and has done really well with the piano. Judy is a WONDERFUL teacher always encouraging my daughter and making learning fun! Since my mother was a piano teacher, I wanted my daughter to have strong background in theory. Judy is certainly giving her that and I am thrilled! I am very pleased! She uncovered a talent I did not know I have. Extremely patient and fun while learning new ways of singing. Highly Recommend Judy if you are looking to take your singing to the next level. I have taken voice lessons from Ms. Judy 5 years and I now am a lead vocalist at my church and have so much confidence with my capabilities now. She is the best teacher I've ever had and I recommend her to anyone ready to reach that next level in their skills no matter beginning or advanced.